Sahara Jane Music: September 8th, 8:00 at the Al Whittle Theatre in Wolfville! 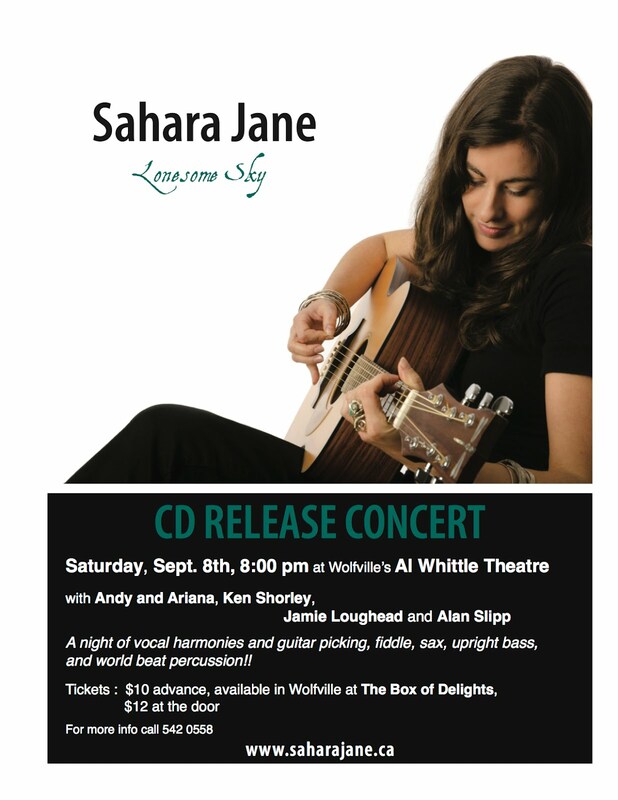 September 8th, 8:00 at the Al Whittle Theatre in Wolfville! I am really looking forward to this show in Wolfville. There is nothing quite like playing in your home town.. and with this incredible band!! Ariana Nasr, my sister, on sax, violin and vocals, Andy Flinn, my bro-in-law, on double bass and harmonies, my dear friend and mentor, Ken Shorley with his amazing assortment of drums and percussion, and Jamie Loughead and Alan Slipp, whom I have sung with for so many years on vocal harmonies, Wow! I Love it!!!!! Come on down if you can make it and help me celebrate my new album! I could not have done any of it without this incredible community and family supporting me! !